Dr. M.B.Vedavalli took her M.A. Degree in Music, from Madras University in the year 1962. She was awarded Doctoral degree for her thesis on "Mysore as a seatofMusic"in theyear 1983 and D.Litt. Degree in the year 2004 for her thesis on Ragam-Tanam-Pallavi. She has handled both Theory of Music and Practical classes for both under graduate and post - graduate courses for about 33 years in various institutions imparting music education. She was a Lecturer in Stella Maris College, Madras, for 7 years, Head of the DepartmentofMusic in Seethalakshmi Ramaswami College, Trichy, for 6 years and in the Music Department of Madras University, for 20 years and retired as Professor and Head in the year 1995. Her training under pallavi exponents and her vast experience as lecturer in colleges and university has enabled her to write an elaborate work dealing with the evolution, structure and procedure followed in singing Ragam, Tanam and Pallavi for which she was awarded D.Litt. Degree. Dr. Vedavalli is the recipient of several honours. The Karnataka Ganakala parishat, Bangalore honoured her in 2006. 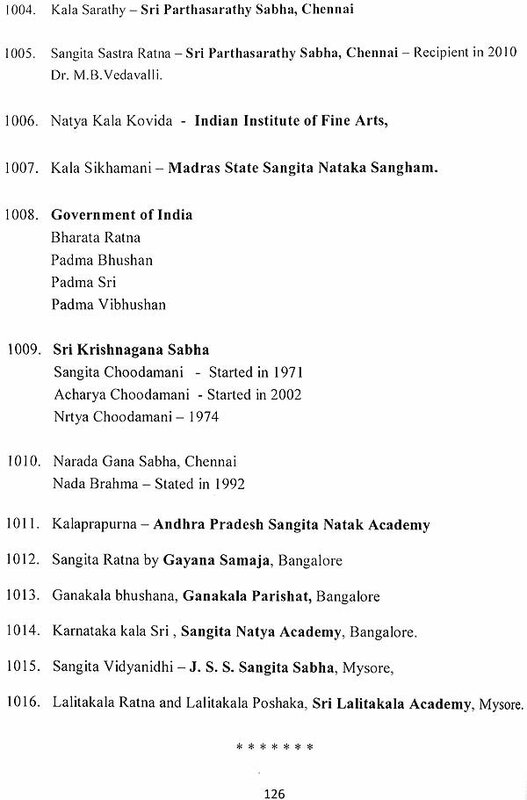 She was honoured with the title Sangita Sastra Ratna by Sri Parthasarathy Swami Sabha, Chennai, in 2010. She received the Musicologist Award from the Music Academy Chennai for the year 2011 - 2012 and Jnana Samudra Award from the organisation Mudra fortheyear 2012. The aim of writing this book is to enable the students of music who are post graduates in Karnatic Music, to prepare for the competitive examinations viz., ET, LET, JRF, TRB, M.Phill., and Ph.D., Entrance examinations. 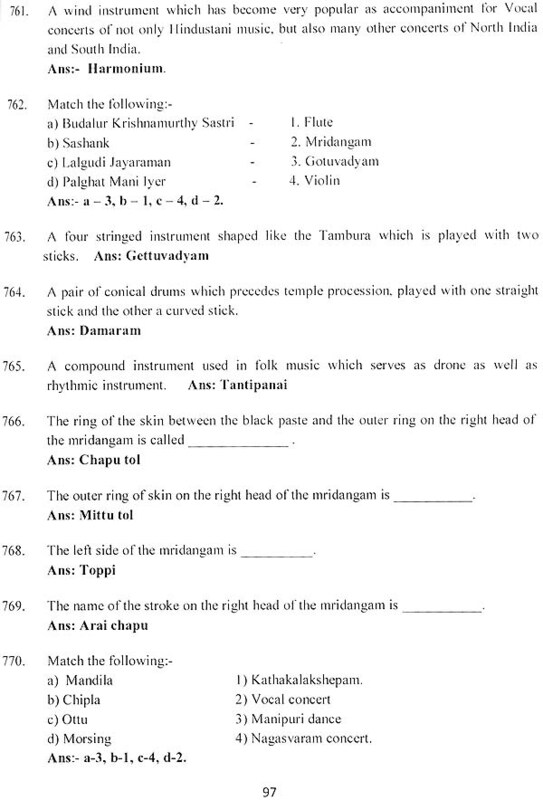 In the syllabus prescribed for N E.T Examinations by UGC, for the Question Paper Part I, it was a common paper for the students of both Karnatic and Hindustani Music, inclusive of Rabindra Sang it, upto 2015.
ow the two systems have been bifurcated and are being treated as separates terns and in the examination conducted in 2016, questions were asked only on Karnatic Music exclusively. Hence this book deals with Karnatic Music in detail. 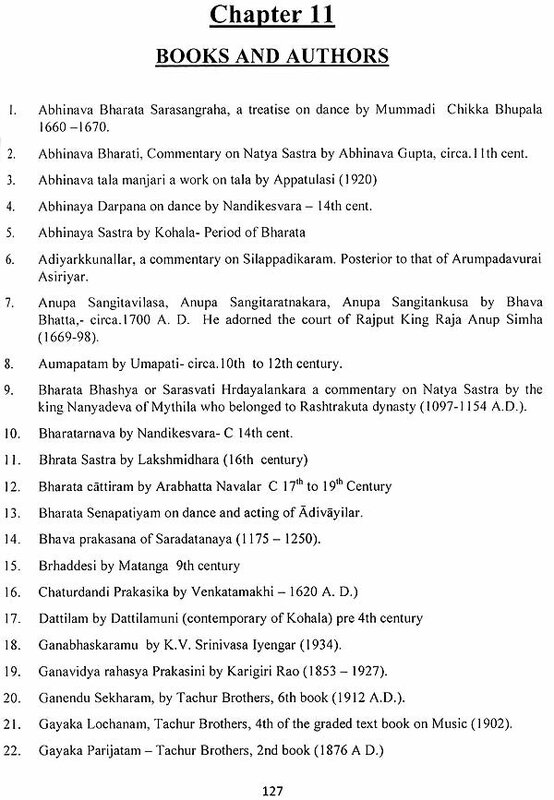 A separate chapter on dance styles and dance dramas has been added for the benefit of students who have undergone the course in dance. 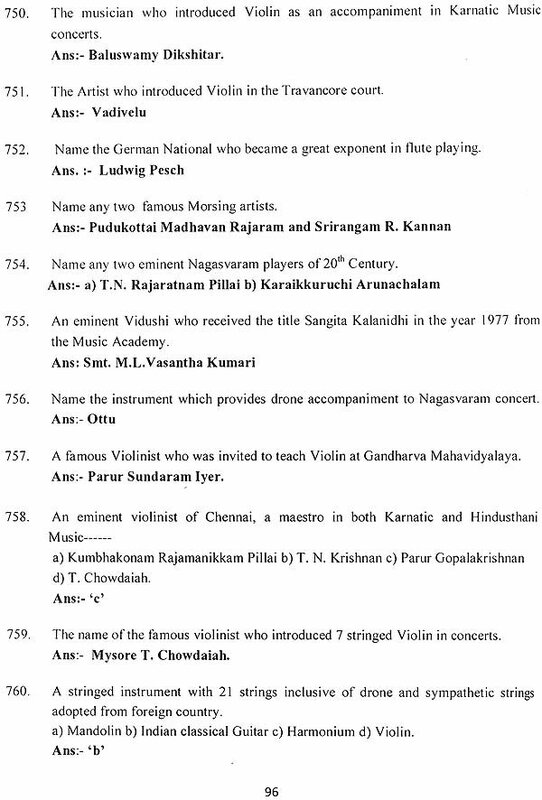 As the syllabus has not been prescribed separately for Karnatic music, an attempt has been made to cover the syllabus prescribed by most of the educational institutions in Tamil Nadu. This book is an exhaustive work containing about 1000 questions with answers for all the questions. In this book, questions of varied models like objective type, fill in the blanks, definition of some of the terms, matching the terms, arranging the answers in the sequential order based on the chronology of the work authored by the lakshnakaras, seniority of the composers, arranging the svaras according to their pitches, arranging talas and their angas in the sequential order, etc., are presented with answers. 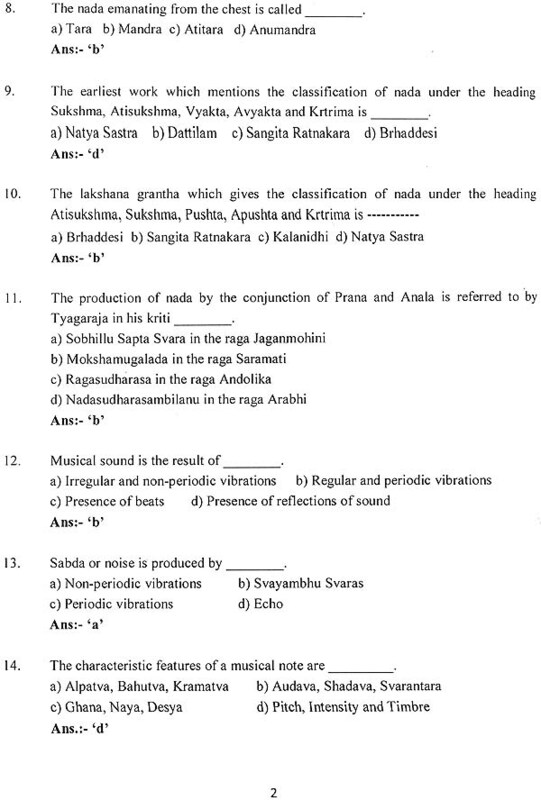 Regarding the group kritis com posed by various composers, the list of songs, their ragas and talas have been given to enable the students to choose the correct answers according to the questions asked for in the paper. The book contains 12 Chapters viz., 1. Nada, 2. Sruti, 3. Svara and Svara Sthanas, 4. Raga, 5. Notation, 6. Musical Forms, 7. Talas, 8. Musical Instruments, 9.Dance and Dance Dramas, 10. Mudras adopted by the composers, 11. Titles and Honours bestowed on Musicians and Musicologists, 12. Books and Authors. It is a ready reckoner for the students of music. Based on the information given in this book, many more questions may be framed. Lastly question paper II and III of July 2015 and December 2015 have been given for reference to know the model followed for the examinations.